Perfect for both the reluctant reader and avid bibliophiles, Escape From Mr. Lemoncello's Library is a fun paced book that takes place in the library. With a touch of humor, popular culture references along with literary ones, this book is hard not to enjoy. Description: Kyle Keeley is the class clown, popular with most kids, (if not the teachers), and an ardent fan of all games: board games, word games, and particularly video games. His hero, Luigi Lemoncello, the most notorious and creative gamemaker in the world, just so happens to be the genius behind the building of the new town library. 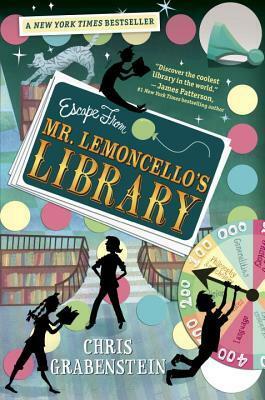 Review: I thoroughly enjoyed and was highly entertained while reading Escape from Mr. Lemoncello's Library. It reminded me a lot of Roald Dahl's classic children book, Charlie and the Chocolate Factory minus the creepy and weird Willy Wonka. Instead of a candy factory, the setting here is a futuristic and an awesome library. Kyle Keeley and his friends have the opportunity to be locked-in at the newly open Alexandriaville Public Library. Billionaire game-maker Luigi Lemoncello, who has donated a fortune to building the public library in a town that went without one for 12 years, has created intricate games and puzzles throughout the library for the children to solve. The children must use their library skills and library resources in order to find their way out of the library. The game enhances the suspense and pace in the story. 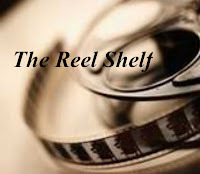 Although the characters, from gamer Kyle to scheming Charles Chiltington, are lightly developed and somewhat one dimensional, I did like the emphasis on working together as a team and pooling each individual's strength to achieve their goal. The main star, however, is the library itself which includes modern technology that I would love to have in my own library such as changing video screens, touch-screen computers in the reading desks and an Electronic Learning Center as well as floor-to-ceiling bookshelves stretching up three stories. There are plenty of nods and literary references that are in the book which will make bibliophiles rejoice, but young readers who love video games will also enjoy trying to figure out Mr. Lemoncello's puzzles. I applaud the author in making the library a cool place and I look forward to seeing what Mr. Lemoncello is up to in the sequel. This sounds awesome! I love the cover too. I think my son would like this one in a few years so I'm going to keep it in mind! I have seen this one around and I think it sounds delightful. It is on Risa's reading list for when she is older. Oh I like that it is set in a library and would be fun to find all those bibliophile references. I also like that it brings in the gamers to the book as well. Really widens the audience. Brilly review! It's too bad that the characters are one-dimensional, but I love the sound of the setting. I'd totally visit Mr. Lemoncello's Library if it was real!